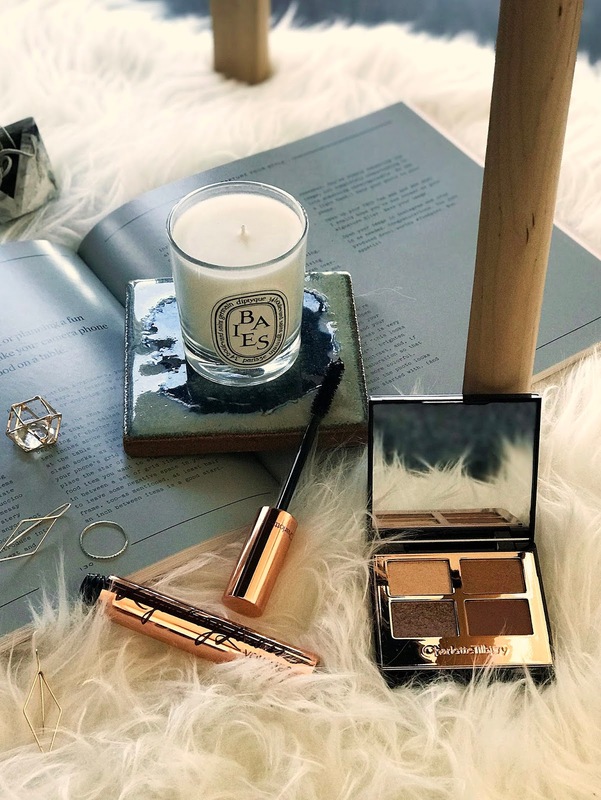 A couple weeks ago I checked out some new releases from Charlotte Tilbury with Madeline from Classically Contemporary. Featured was the new Beauty Filters collection from the brand, inspired by the latest technology in the cosmetics department and aimed at making all of our Instagram filters come to life! If you follow me on Instagram, you may have seen me rave about the Legendary Lashes mascara, which has become a holy grail of mine (and you know how I feel about mascara since I wear glasses). 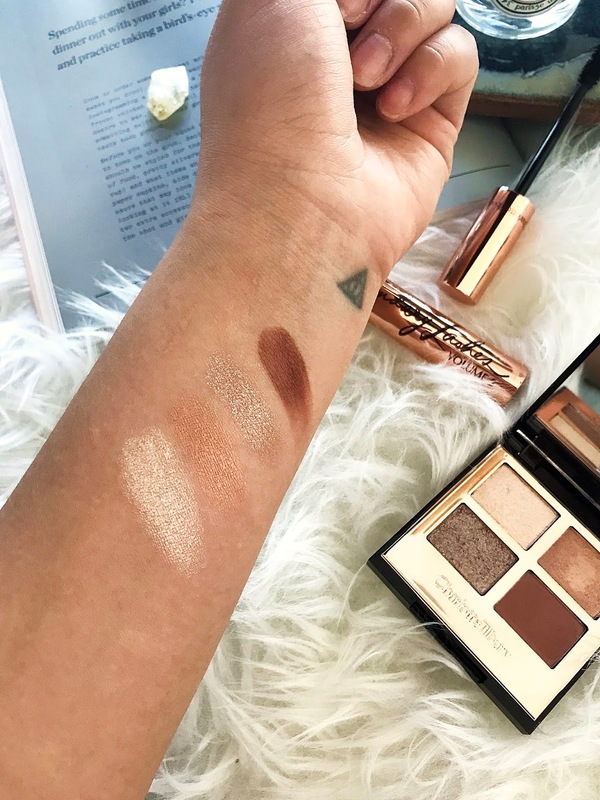 In this post, I'll also be sharing my thoughts on the limited edition, Exagger-Eyes eyeshadow palette, aimed at creating bigger brighter eyes. This is a reformulated version of their original Legendary Lashes. The formula is designed to give you long wearing, smudge-proof lashes that increase in volume by 507% after only one application. I don't often say this about mascaras, but I LOVE this mascara. I love the packaging, I love the formula, I love the brush - I just love everything about it. The formula itself is slightly on the wet side, but that means it creates instant volume and lengthens without clumping. The brush grabs onto my itty bitty lashes and separates them so it looks like I have more lashes than I actually do, and also gives them a small push-up effect which makes my lashes look curled instead of sticking out straight like every other mascara I've tried. I love how once the formula dries, my lashes look super glossy and don't feel brittle or dry. This is a limited edition quad of shadows designed to give you the illusion of sparkling, dolly eyes. It features an ivory-cream, rose-gold, red-brown and a transparent sparkly shade. I love how neutral this eyeshadow palette is, making it suitable for everyone. It's also very wearable for day to night since it contains one matte shade, two shimmer, and one that sparkles. In terms of blendability, the Exagger-Eyes palette blends very well however, the only thing I didn't love about it is that the matte red-brown shadow isn't as buttery as the three other shadows. I found it difficult to swatch however, when used with a dense brush, it works just as well. Overall, I love the Charlotte Tilbury Beauty Filters collection! I want to try their Collagen Lip Bath and their other Bigger Brighter Eyes palette in Transform-Eyes. 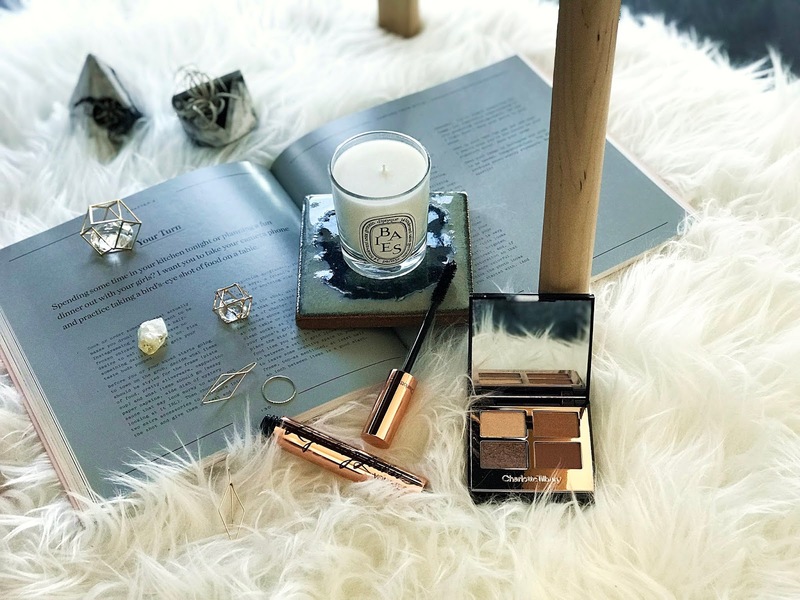 Have you tried any from Charlotte Tilbury? Disclaimer* Press samples given for consideration of reviewing.